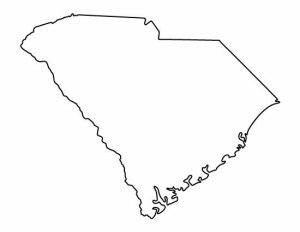 South Carolina currently has six Medicaid waivers/programs that can serve children, including a TEFRA program and six additional home and community based 1915(c) waivers. All are based only on the child's income, waiving parental income for eligibility. SC recently terminated both their waivers for Pervasive Developmental Disorders and PRTF (children with mental health conditions). For more information about waivers in South Carolina that serve individuals with developmental or intellectual disabilities, see Medicaid Waiver Service Divisions from the Department of Disabilities and Special Needs. See also South Carolina Medicaid's page on waivers. South Carolina also has two adult-only waivers, Mechanical Ventilation Dependent and Community Choices. How to Apply: Apply for Healthy Connections online and then complete the additional forms for TEFRA. Target Population: Children and adults with intellectual disabilities. Income Waiver: Yes, the waiver is based on the child's income only. Description from medicaid.gov: Provides adult day health care services, personal care services, respite care services, waiver case management (WCM), incontinence supplies, adult day health care nursing, adult day health care transportation, assistive technology and appliances assessment/consultation, assistive technology and appliances, behavior support services, career preparation services, community services, day activity, employment services, environmental modifications, in-home support services, personal emergency response systems (PERS), private vehicle assessment/consultation, private vehicle modifications, support center services for individuals with IID, ages 0 - no max age. How to Apply: Call 800-289-7012 or see this Applying for Services page. Waiting List: There are 11,275 people with developmental disabilities on South Carolina's waiting lists. Target Population: Children who are medically fragile or technology dependent. Description from medicaid.gov: Provides care coordination, respite, and pediatric medical day care for individuals who are medically fragile, ages 0-18. How to Apply: Call MCC Waiver Intake and Referral at 803-898-2577. Target Population: Children and adults with head, brain, or spinal cord injuries. Description from medicaid.gov: Provides attendant care/personal assistance services, career preparation services, day activity, residential habilitation, respite care services, waiver case management (WCM), incontinence supplies, occupational therapy, physical therapy, speech and hearing services, behavioral support services, employment services, environmental modifications, health education for participant-directed care, Medicaid waiver nursing, peer guidance for participant-directed care, personal emergency response systems, pest control bed bugs, pest control treatment, private vehicle assessment/consultation, private vehicle modifications, psychological services, supplies, equipment and assistive technology assessment/consultation, supplies, equipment and assistive technology for individuals with physical and other disabilities, ages 0-64. How to Apply: Call 866-867-3864 or see this Applying for Services page. Description from medicaid.gov: Provides adult day health care, personal care 1 & 2, residential habilitation, respite care, waiver case management (WCM), adult dental services, adult vision, audiology services, incontinence supplies, prescribed drugs, adult attendant care services, adult companion services, adult day health care nursing, adult day health care transportation, behavior support services, career preparation services, community services, day activity, employment services, environmental modifications, nursing services, personal emergency response system (PERS), pest control bed bugs, pest control treatment, private vehicle assessment/consultation, private vehicle modifications, psychological services, specialized medical equipment and assistive technology assessment/consultation, specialized medical equipment, supplies and assistive technology, support center services for individuals with ID, ages 0 - no max age. Target Population: Children and adults with HIV/AIDS. Description from medicaid.gov: Provides case management, personal care, prescription drugs except drugs furnished to participants who are eligible for Medicare Part D benefits, adult companion care, attendant care, home accessibility adaptations, home delivered meals, private duty nursing, specialized medical equipment and supplies for individuals with HIV/AIDS, ages 0 - no max age. How to Apply: Apply through Community Long Term Care (CLTC).